This album is not considered a masterpiece of the band, and certainly does not reach the heights of "2112", "Moving Pictures" and "A Farewell To Kings". However, it is still an interesting album and is considered a classic. With this album Rush decide to follow the difficult path of achieving commercial success with long compositions (there are two long suites, one of which almost twenty minutes long). Unfortunately, the result will be very poor in terms of sales, so the record company imposed to the band a less innovative approach for the next album: the reaction of the band was a big disappointment, but in the next record again will be a long epic (the successful "2112") and Rush proved to be able to get good commercial results recording long epics or songs full of complex musical structures. For sure not all the songs are great. I Think I'm Going Bald is a rock ballad built around a classic, and banal, guitar riff. All stuff already heard. Things are not much better with Lakeside Park, nothing more pleasant but ordinary song, with references to the most melodic ballads by Led Zeppelin. The Necromancer is the first epic of the album, and is, in my opinion, rather hard to digest. It is a very dark piece of music, and very heavy in the middle section, with lyrics written by Peart that obviously refers to Tolkien, but also with many allusions to the vicissitudes of the three members of the band (the "three travellers" are probably Geddy Lee, Alex Lifeson and Neil Peart) . The introduction is perhaps the most successful, with the band intent on creating a suggestive and gloomy atmosphere. The final part seems genuinely out of context from the rest of the song. In my opinion not a very successful one. The situation is different for the other two tracks on the album. Bastille Day is a fantastic heavy ride where the band plays with heart and without brakes. In my opinion this song is one of the most representative in the hard rock genre. Definitely good too, is the long and final epic The Fountain Of Lamneth unjustly underrated by many, that is a kind of anticipation of the next "2112". The middle section of the epic, in particular, is really inspired, with a beautiful interpretation of Geddy Lee in the most melodic and quiet parts, where finally the singer shows the hidden potential of his voice. 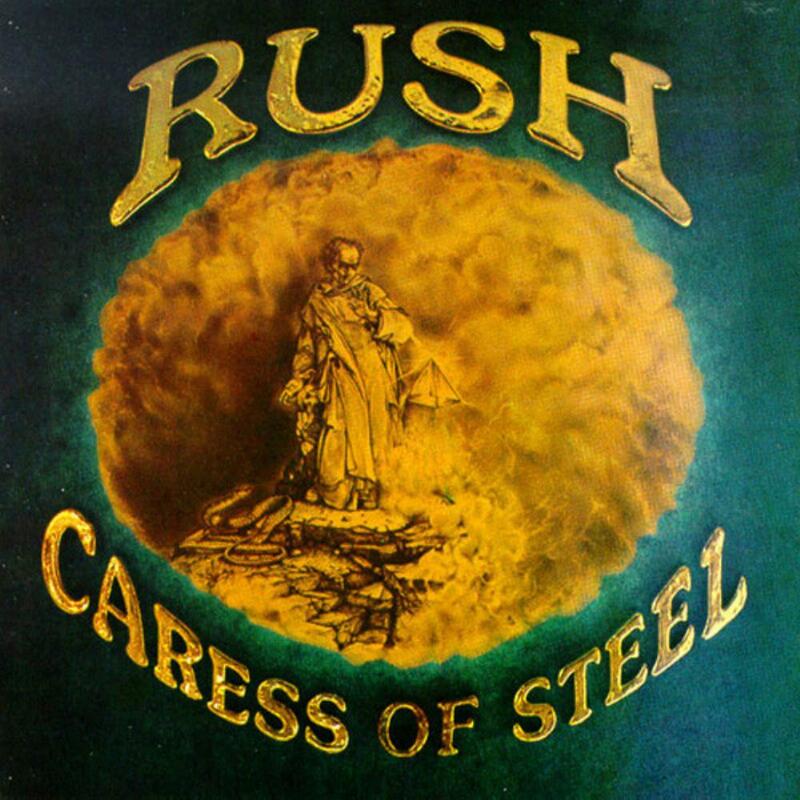 If you are a fan of Rush's classic period, "Caress Of Steel" is an album that I recommend to count in your collection.